Lokmat Media Ltd., one of the largest media houses in India will unveil the first-of-its-kind coffee table book "Icons of Pune" to honour the inspiring stalwarts who have helped shape Pune into a multi-dimensional business epicentre today. The unveiling of this magnum opus initiative will be held in Pune on Monday, November 7th 2011 by the hands of Hon'ble Finance Minister Pranab Mukherjee & Hon'ble Chief Minister Prithviraj Chavan. Icons of Pune by Lokmat Media Ltd. is a compilation of profiles of men and women who have shaped the Pune of the 21st century and are the leaders who shall shape the future. It depicts the success stories of the leading industrialists of Pune, a first-of-its-kind initiative. It traces the journey of some legendary entrepreneurs like ' Rajiv Bajaj (M.D., Bajaj Auto Ltd.), Amit Kalyani (Executive Director, Bharat Forge), Sanjay Kirloskar (Chairman & M.D., Kirloskar Brothers Ltd.), Sanjiv Bajaj (M.D., Bajaj Financial Services), Ravi Pandit (Chairman & Group CEO, Kpit Cummins) and many others. Announcing this unique initiative, Vijay Darda, Chairman, Lokmat Media Ltd. said, "Over the years, Pune has demonstrated immense potential across various sectors and domains. If Mumbai is the financial capital of India, Pune deserves to be the cultural and educational capital of the country. Pune has proved to be the economic epicentre of Maharashtra." Speaking on the occasion, Jwalant Swaroop, COO, Lokmat Media Ltd. said, "Historically, Pune has been the birth place of stalwart from Shivaji Maharaj, Lokmanya Tilak, G K Ghokhle to D K Karve. It's a part of their DNA and today's new era that has come up has set bigger benchmarks for themselves taking their family legacy to greater levels. Icons of Pune traces the journey of these wizards who have transformed their company with the changing time and embraced their legacy. 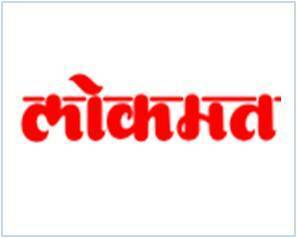 Lokmat has witnessed this transition in Pune and Icons of Pune depicts this journey." With more than 5 million ambitious and upwardly mobile citizens, Pune has already emerged as one of the top ten cities in an increasingly empowered India. Pune has metamorphosed from a middle class town to a throbbing hub of multi-dimensional business activities that have seamlessly integrated into a globalised economy. This transformation of the city of Pune has been navigated through challenging times by entrepreneurs. They have demonstrated the skill, tenacity and the patience to reach the top.